John Palmer of Maybrook, 28, was driving westbound when he collided with another vehicle and then an overpass, cops say. 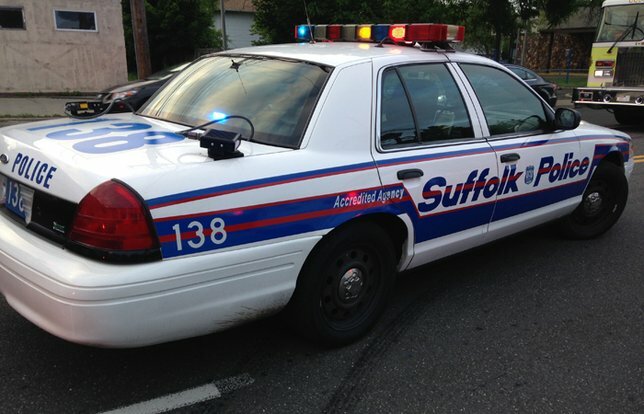 SCPD are investigating a two-vehicle crash that killed a man in Ronkonkoma. Ronkonkoma, NY - November 7, 2018 - Suffolk County Police Fourth Squad detectives are investigating a two-vehicle crash that killed a man in Ronkonkoma near exit 60 on the Long Island Expressway on Tuesday, November 6. John Palmer was operating a 2014 Freightliner Truck westbound when it collided with a 2006 Kia Sportage being operated by Brendan Appold. Palmer’s truck then veered off the road and stuck the overpass at approximately 12:15 p.m. Palmer, 28, of Maybrook, New York was pronounced dead at the scene by a physician assistant from the Office of the Suffolk County Medical Examiner. Appold, 30, of Holtsville, was uninjured and remained at the scene. Subject: LongIsland.com - Your Name sent you Article details of "Man Killed in Two-Vehicle Crash on Long Island Expressway, Officials Report"